Personalise this autograph book with your school name, a photo and a short message (on the back). 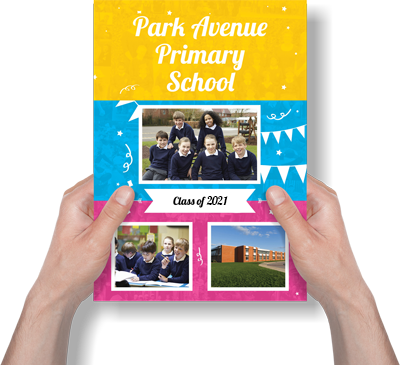 A great gift for your leavers that includes blank pages for messages and signatures, a teacher autographs section, and a keep in touch page where everyone can leave their contact details. Perfect for keeping hold of those good luck messages and farewells for years to come.